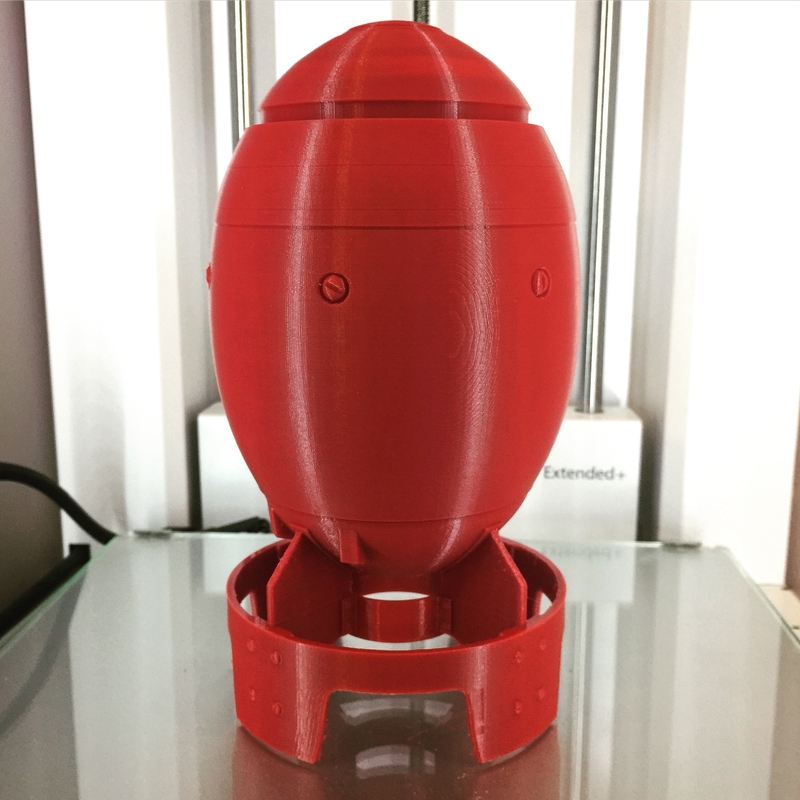 I just finished 3d printing a Mink Nuke from the game Fallout 4. This took a few days, as there are 6 pieces, the largest of which was around 18 hours. This image shows all 6 pieces assembled (friction fit) prior to any real cleanup. I'll start the sanding and filing process soon. Really looking forward to painting this! Because this design does not really match the in-game assets I'm tempted to do a bit more work on it. It's missing quite a few lines, and 2 rows of screw heads up top. I have a more accurate model, but since this one is done I might just move forward with it. I may just move forward with it as-is though. Stop making me jealous hahaha !! !